Deep in Trump country, Missouri gun owners are not very happy with Claire McCaskill. 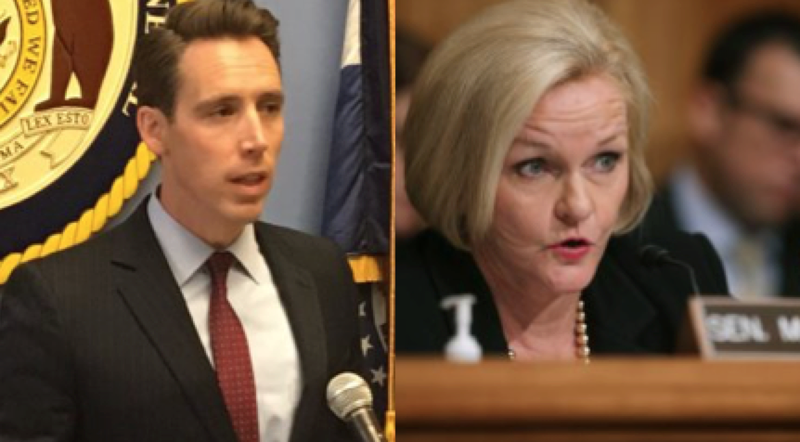 New polling data from NBC News shows that McCaskill, who has warred against the Second Amendment for her 12 years in the US Senate, is in a dead heat with her challenger, Josh Hawley, with both candidates holding at 47%. When the poll is expanded to include Libertarian and Green Party candidates, McCaskill leads Hawley 44-40, but that is within the poll’s margin of error. McCaskill is facing a lopsided approval rating, with 41 percent of likely voters viewing her positively compared with 49 percent who view her in a negative light. While she has been doing her best to convince gun owners that she supports the Second Amendment, the Missouri Firearms Coalition recently release this ‘Top 10’ list — highlighting Claire’s repeated support for radical gun control. More recently, the gun rights organization unveiled this ad, which will be airing on social media, as well as radio and TV spots, according to their release. While McCaskill was able to win re-election in 2012, that was before the 2013 Manchin-Toomey floor action, which put McCaskill on the record as being one of the most radical anti-gun Democrats in the US Senate. Now that gun owners are being informed about where she stands, McCaskill is clearly in the political fight of her life. That’s why RollCall.com lists McCaskill as the second most vulnerable Democrat in the US Senate. Missouri voted for Donald Trump in 2016, giving him a solid 56.4% of the overall vote. ← Canada Moves Ever Closer to Banning All Firearms! McCaskill will cost the people of Missouri money and God given Constitutional rights. I always thought McCaskill was for 2nd Admendment & for Veterans. I would like to see all of our politicians votes on all issues. It seems we can’t trust them at their views or word. Is there a place to go on line to see this? The only bad is we will never see a new politician’s true side until they are in office.